In 1994, the Foundation began cultivating a collection of artifacts and media representing Georgia’s music history on behalf of the Georgia Music Hall of Fame museum in Macon. 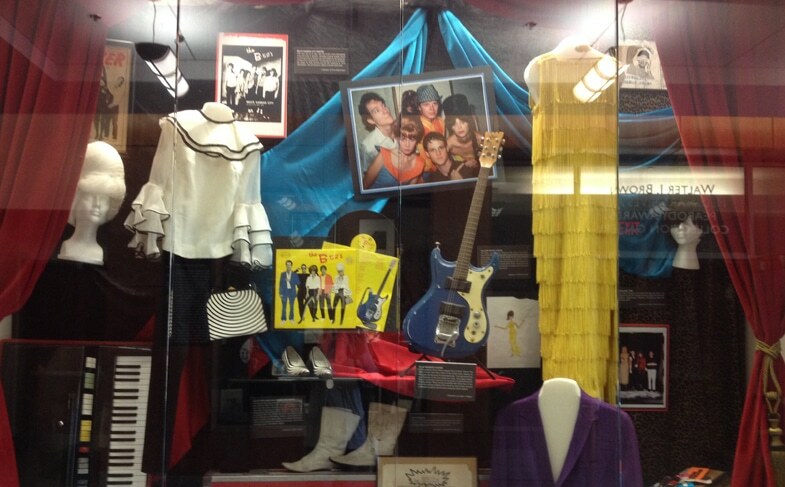 Over almost 15 years, the expansive collection grew to include recorded music, videos, films, oral histories, photographs, instruments, costumes and memorabilia. Upon the closure of the museum in 2011, the Foundation donated its collection to the University of Georgia Special Collections Libraries in Athens to provide permanent custodianship. The Foundation continues to support the efforts of the UGA Special Collections Libraries’ staff to evolve and grow its Georgia music collections while providing expanded public access through on-site displays at the Libraries and loans to other museums and institutions statewide. The exhibition, ARTifacts Rock Athens: Relics From The Athens Music Scene, 1975-1985, opened at UGA’s Special Collections Libraries in May 2014 and included objects from the collection donated by the Georgia Music Foundation to UGA. In 2015, the Foundation provided additional support to the Joseph Jr. Johnson Scholarship program at the Center for Public History, University of West Georgia, in order to undertake a vital oral history project. This year’s scholarship recipient, Brian Crews, has been conducting oral histories with Fred Fussell, George Mitchell and Art Rosenbaum, the three folklorists and historians who have, over the course of their careers, gathered, recorded and published some of the most invaluable documentation available of key segments of Georgia’s music history. 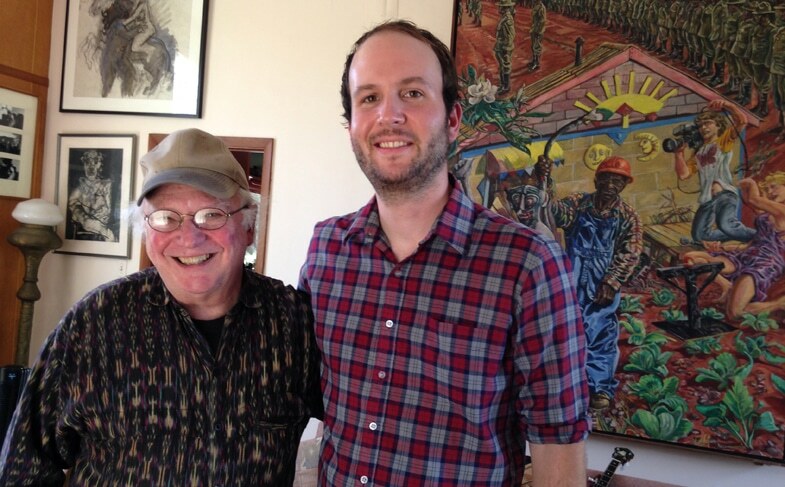 Artist, musician, educator, folklorist and historian Art Rosenbaum (at left) with Brian Crews, the 2014/15 recipient of the Joseph R. Johnson Scholarship at the Center for Public History, University of West Georgia. In 2013, the Joseph Jr. Johnson Scholarship recipient, Jared Wright, conducted a research project on the Sacred Harp tradition in West Georgia as part of the Center for Public History’s Regional Music Project. His work culminated in an online exhibition: http://fasola-doremi.businesscatalyst.com.